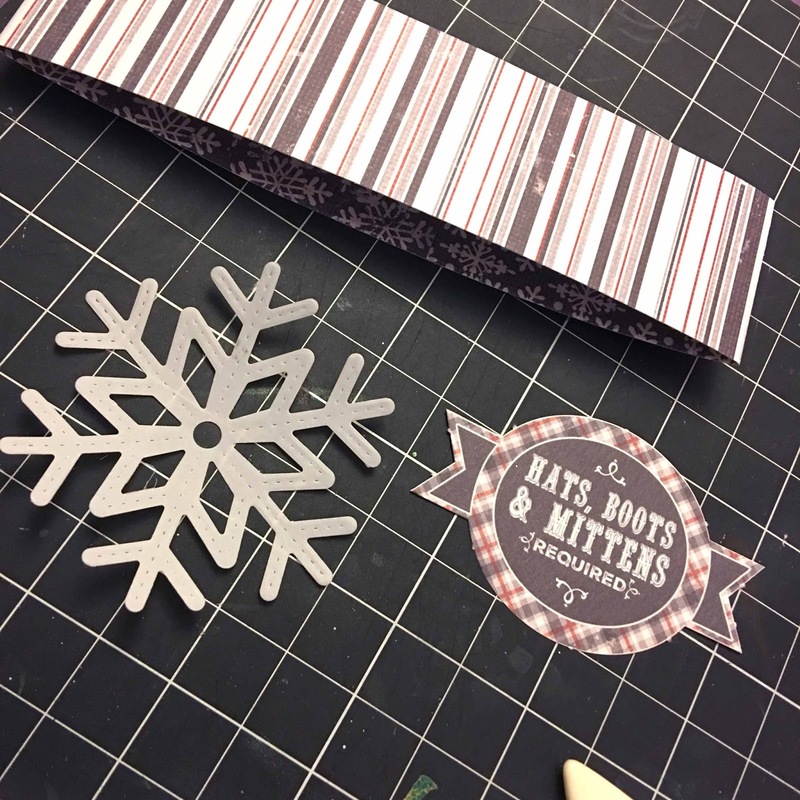 Design team member Heather has created some beautiful projects with our Wintery collection. Hello friends. 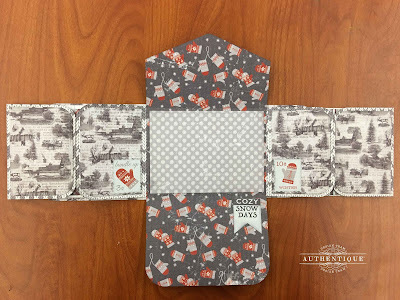 Today I am sharing some projects made with the beautiful Wintery Collection. I'm up in the Pacific Northwest where snow is a rare commodity. Personally though, I find it beautiful and love all of the elements that were so delicately recreated in the Wintery Collection. 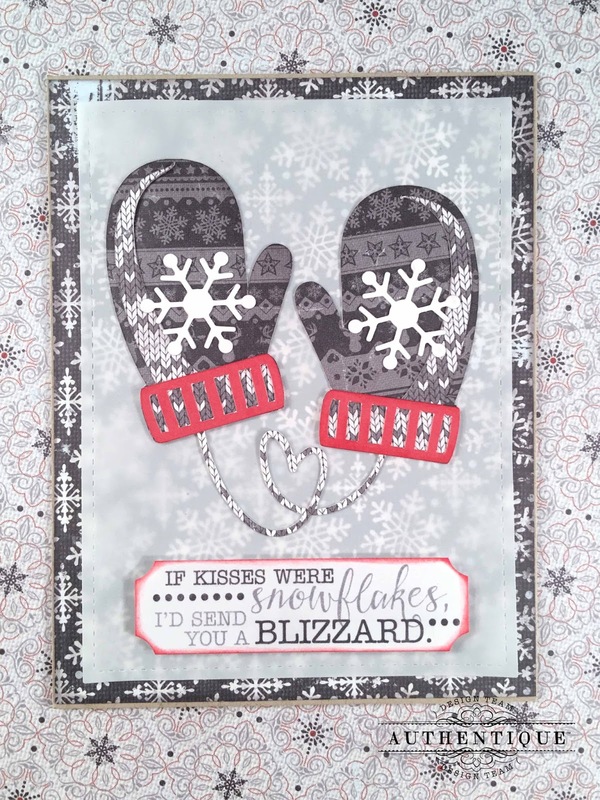 The patterns in the Wintery Collection made me think of mittens and snow, so I started with this beautiful cut file from the Silhouette Store. 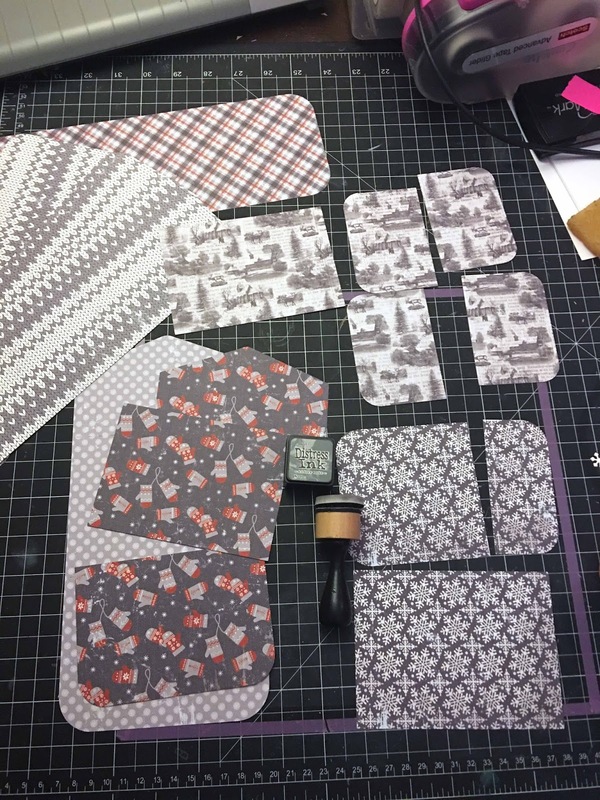 The pattern of Wintery Two looked like sweater patterns, so I thought it would make for perfect mittens, and the knitted details from Wintery Four made the perfect string element for the die cut. I added a couple of black Petaloo Forget me Nots to the mittens. The mittens are backed with vellum so the snowflakes from the 6x6 Bundle Pad could show through. 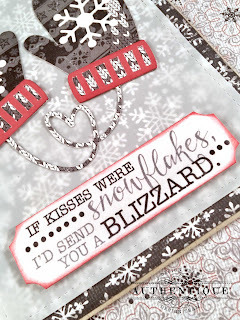 The little heart in the mitten string matched the beautiful sentiment from the Wintery Details sticker sheet. I inked it with red to mimic the red on the mittens. 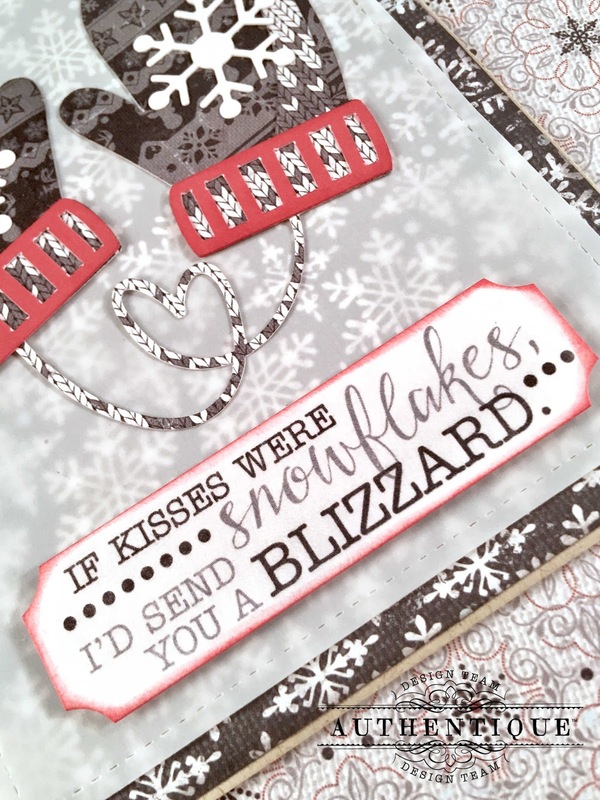 I also made a second card with snowflake die cuts! I just loved all of the sweater elements! 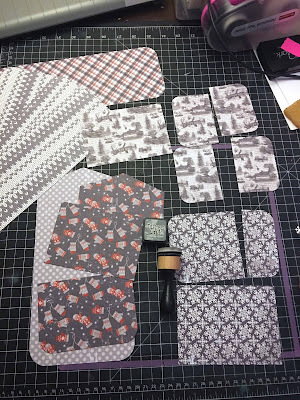 If you haven't already, check out the wonderful Micro Basics for some solids and mini dots that perfectly match your favorite collections. The red here is the Scarlet Red Dot. 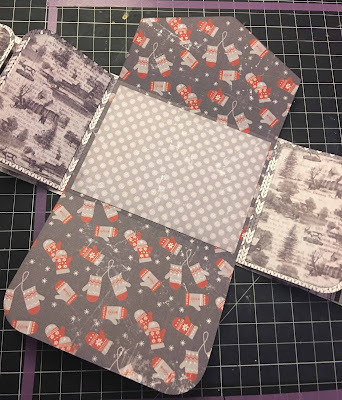 Even more fun, was this fun little mini album using Wintery. I wanted something small, that was easily mailed. This fun little mini album is great, as all of the elements are flat and it would easily fit into a small bubble mailer just in time for snowy pictures. When the mini is completely opened, there are enough areas for a few photographs. Just enough to send away. The tutorial for this mini album is here, but I do have some tips for this album. A few of the patterns in Wintery register in one direction, so you want to think about pattern placement when you are cutting your mini album. I rotated a few of the cut files to really utilize the snowy scene on Wintery One. 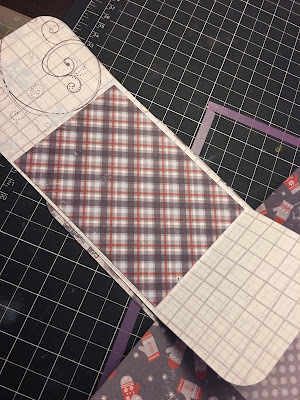 After I inked all of the edges with some Distress Ink, I started figuring out which patterns I wanted to show. I usually use the same paper for multiple-sided elements. This way, what you see when you look at one side is also reflected somehow on the reverse. In this instance, the mitten elements from Wintery Three will be on the outside of the envelope, as well as under the polka dotted photo mat. I also chose to have the swirls from Wintery Four be on both ends of the outside flaps. Continuities like this are small, but can make a huge impact when your project is finished. I wanted the mini album to have a flatter closure than a ribbon, so I took a piece of Wintery Five and a few die cuts and created a band closure. 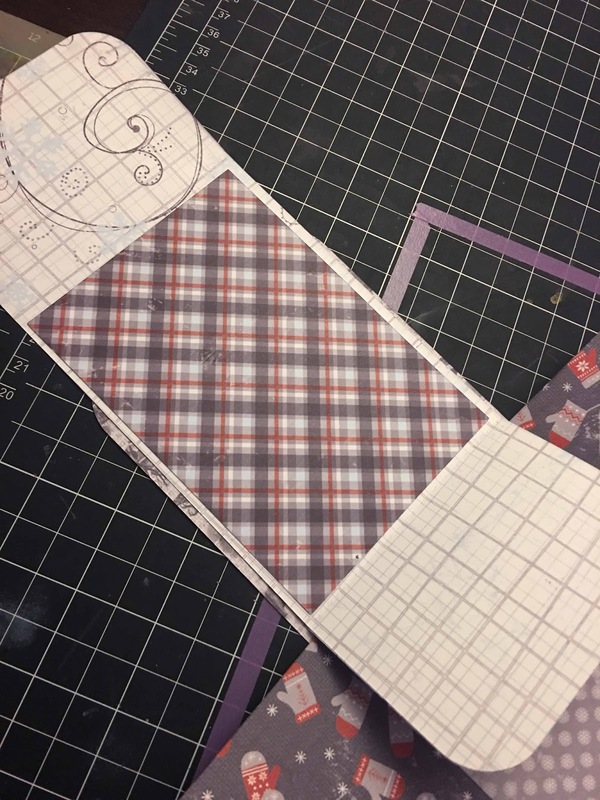 It's simply a strip of paper, that is looped around the mini and glued shut. Make sure to allow for enough room for photographs to be placed in it as well. If you are sending your mini album without photos, I suggest placing some thicker cardstock where the photographs would be to find the right band size. 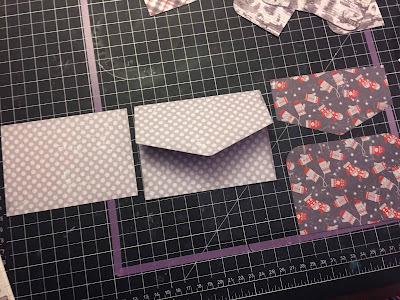 Also, place your die cuts on the seam of the band. This way, your band will not peel away. 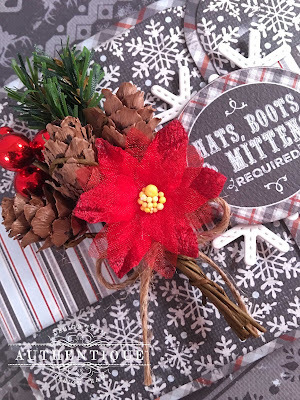 To add some Petaloo fun, I added a full Pine Picks with cones and berries to the band, and a Regal Velvet Poinsettia Red. I hope you find some time this winter to play with the Wintery Collection and some of the fantastic new Petaloo collections. 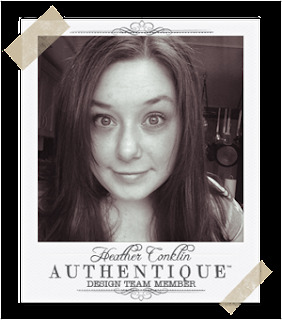 Heather this is stunning and I'm going to have to scraplift you again!! Love your picture tutorial especially! Pinning away! 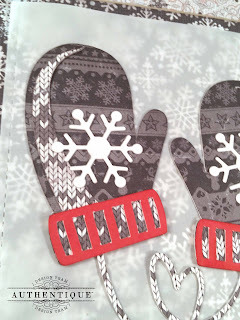 Love the mitten card - those papers are gorgeous! Will be trying the mini as well. Thanks for sharing. Love the mittens with the flower on them. Wonderful cards. I always love mitten cards and the album is fabulous. I really want to make one like this. Lovely album card. A gift in itself! 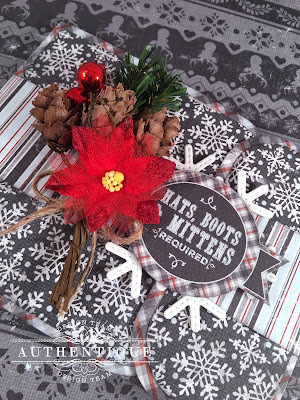 Very sweet little album and the mitten card, so darn cute. Thanks for sharing these great ideas with us. 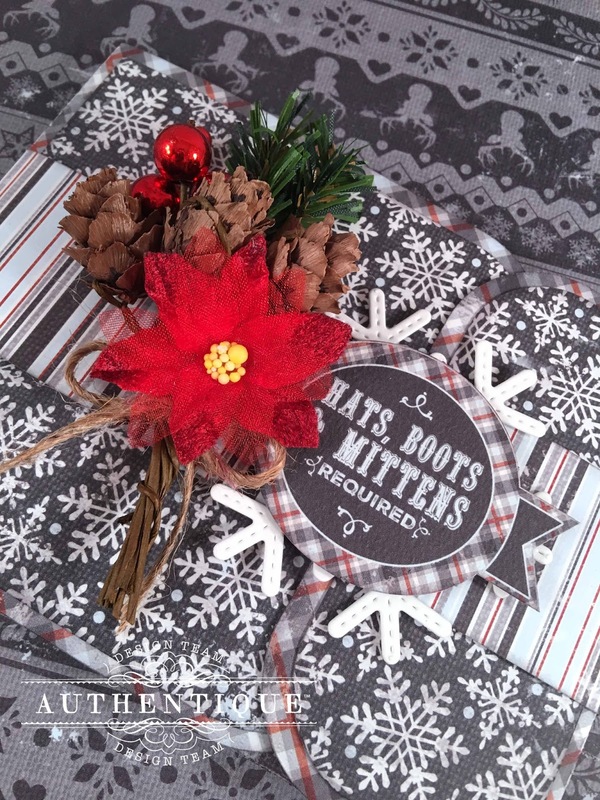 our mittens cards are so pretty! And love the mini album, too. Love the more non traditional colors you used. Love the inspiration (I am wanting to make a mini album myself). I am so glad to see someone to start making mini albums because I think they are great to save precious memories. What sweet projects and love the paper collection. Oh how sweet! I just LOVE Heather's darling mini album and cards! What an adorably fun collection this looks like too! I love the wonderful display of the papers and flowers!!! Superb work and truly inspiring!!! Thanks so much for ALL the delightful creations over the past week! It's been filled with so much great holiday spirit and I've enjoyed it so very much!!! The mitten card is so sweet! Loving the Wintery Collection! I am a super fan of mini albums and love your creation. Thanks for the inspiration! Love the mitten card, and grey and red combo is one of my fav, classic and beatiful. Your projects are all festive and bright! Very inspirational, thank you so much for sharing. OMG! Such stunning projects!!! Love them! Very pretty. I love the pops of red!